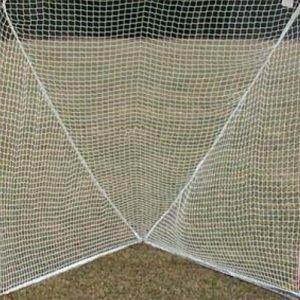 Durable aluminum construction withstands rough weather and the repeated impact of shots on goal. 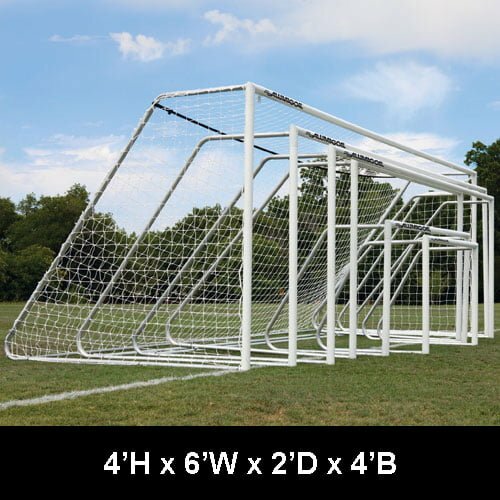 8’ x 24’ model meets NFSHSA specifications. Front face is made from 3” round custom aluminum extrusion with a durable white powder coated finish. Backstays are constructed of 2” round heavy wall aluminum tubing. Frame has double-reinforced, TIG-welded corners and stainless-steel hardware. 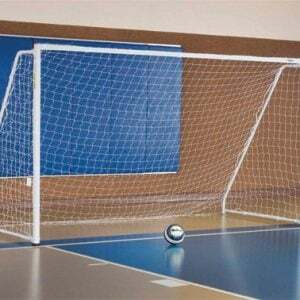 The included 4mm white net installs easily with the frame’s built-in net clip track and net clips. Ground anchors keep the goals in place during windy conditions and powerful kicks. 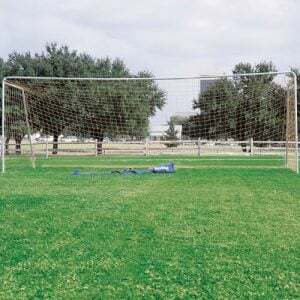 Goal is available in a variety of sizes to accommodate players of all skill levels. Back bottom bar is included with 24’, 21’ and 18.5’ wide models. Sold per pair. 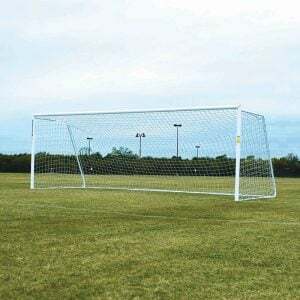 Please contact me with more information about: "CLUB Portable Soccer Goals, 3" Round Aluminum with 4mm Nets".